Human Resource Management is an important strategic tool which adds value to the organization and is a necessary part of organization’s function. So, this report is an assigned job as a partial fulfillment of course requirement which is given by honorable Course Teacher Ms. Nafiza Islam, Lecturer, Department of Business Administration, Stamford University Bangladesh. In this report the overall work of the Human Resource Department of Local Company – Shahjalal Islam Bank is focused and described. The goal of this report is to find out the Human Resource Management Practices of Bangladesh, in case of Shahjalal Islam Bank. To know the details of the company we interviewed some HR personnel of Shahjalal Islam Bank and other information were collected and gathered with the help of the internet. Shahjalal Islam Bank is the organization where actually the HRM activities are applied with a huge effort, and the outcome is also very satisfying. This report is focused on the HRM activities that Shahjalal Islam Bank practices to develop their organization. The key factor of this Bank’s sustainable growth is Human Resource Management. They have always been committed to good employment practices and have set out the framework of Employment Principles on workplace practices, employee relations and employee human rights. That’s why they select the most talented and dynamic professionals from the available candidates, trusts in team work and respect each other. The report also includes the theoretical framework of various concepts of Human Resource Management and also contains the practices of Human Resource Management in Shahjalal Islam Bank for the purpose of relating the theoretical concepts with the relevant areas of an established organization. This report is based on both primary and secondary data. . Initially, the primary data are collected by face to face interview by using a detailed questionnaire, company’s annual report, company’s news letter and other informal ways. Then, the secondary data are collected from web sites and group instruction manual & business instruction manual. Then we analyze the data from many angles, in different aspect and present the information in different segment according to company’s category, in compact way. We highlight different important things, which we found during our survey. After doing all of those we submit the report to the proper authority. This study covers the HRM policies of Shajalal Islami Bank along with some recommendations to improve the HRM policies of Shajalal Islami Bank. By preparing this case study we can compare the knowledge with theoretical knowledge which will be more helpful for us in our practical life. Due to inexperience and lack of proper planning & feedback in time it was really difficult to understand what to do, how to do & when to do Cost and time constraints did not allow for a more extensive data collection Omission of some important information due to response biases and time constraints Lack of computer facilities and communication facilities Without these limitations, a lot of things are also faced by us. But these limitations help us a lot by giving the stamina and making this as a challenge. With the help of this stamina we make our report. Human Resource Management is the most important component of modern organizations. The accomplishment of organizational missions and objectives depends, to a large extent, on having right persons in right positions as well as the commitment and contributions of those involved. This is why Human Resource Management has acquired a growing significance in current organization theory and practice. As a matter of fact, a sound and effective human resource management is seen as the most significant variable that determines the performance of an enterprise. Shahjalal Islami Bank Limited is a shariah based commercial bank in Bangladesh which was incorporated as a public limited company on 1st April, 2001 under Companies Act, 1994 and commenced their commercial operation on 10th May, 2001 by opening its 1st branch. Its corporate head office is situated at 10, Dilkusha Commercial Area, Jiban Bima Bhaban, Dhaka – 1000. At present, there are 53 branches, 5 SME centers and 8 branches of brokerage house of this bank. Their policy on Human Resource Management is proactive. They believe that investment in Human Resource development is the key to maintaining sound health of Bank. So, the dedication, skills and professionalism of their employees are main factors that contributed to this success of their Bank. In recognition to the employees’ contribution, the Board has formulated a number of policies for their welfare. As, the people who are working in their bank are their real assets, they want to attract train and retain talented people in the service of the Bank. The training centre of the bank arranged various courses, workshops and seminars on important aspects of Banking through out the year on regular interval. They also invite experts of banking sector for imparting training to their employees to meet the above challenges and the employees of the Bank attended training program/seminar, workshop both at home and abroad. To keep the employees motivated, incentives, performance reward, promotion and accelerated promotion etc. are given on regular basis. The board has also introduced superannuation fund, gratuity, social security, house building finance, car investment facility and other benefits for executives/officers/staff of their Bank. The term human resource refers to the people in an organization. 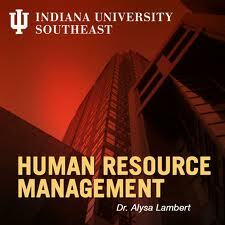 Human Resource Management is concerned with people dimensions in management. Basically, Human Resource Management involves all management decisions and practices that directly affect or influence the people or human resources who work for the organization. It ensures that competent employees are identified and selected, provides employees with up-to-date knowledge, skills to their job and finally the organization retains competent and high-performing employees who are capable of high performance. Human Resource Planning is the process of estimating human resource needs for achieving human resource and organizational goals. It is the process through which organizational goals are translated into objective. At, Shahjalal Islami Bank, they believe that their Human Resources give the company a significant competitive edge in terms of knowledge and experiences. Just like every organization, Shahjalal Islami Bank has also its employment planning. They usually forecast their personnel needs based on their mission, strategic goals & objectives & technological and other changes resulting in increased productivity. Although there are several methods to predict personnel needs, but they use managerial judgment because it gives the more real world scenario for personnel needs. They think that the other methods can not give the accurate situation of the personnel needs. These are basically graphical methods, which can not measure the actual personnel needs. But managerial judgment method depends upon the change in productivity, market conditions etc. HR relationship in Shahjalal Islami Bank is excellent and to maintain this HR has certain policies. As the inter-link of management and graded staffs happens in the plant and factory locations, the policy and strategies should be implemented in the areas keenly. The effective working days of this organization is 5 days per week and each employee will work 9 a.m. – 5 p.m. per day. For The festival leave, usually it is 10 days but in BCCP it is 17 days. It is required not required for overtime duties but they can involve in share business. Shahjalal Islami Bank usually paid their salaries to employees within 05 days of the next month. Without this, they always try maintaining to continuous development of the human resource through appropriate training and motivation. Recruiting is the process of searching the potential job candidates in order to fill up the vacant position of the organization and selection is the process of choosing the best candidate among the available candidates. The candidates who are successfully perform the job. Generally, they focus on e- based advertisement for more visibility and transparency along with the conventional print media. All recruitment related notices are posted on their website also. Candidates have to send their CV to the office along with the name of post. Basically, a well-structured and systematic selection procedure is followed to get the most suitable candidate. What are the consequences of not filling the position? Is the position an ongoing requirement? Will this position add value? The skills, knowledge, qualifications and competencies required. The management then checks out whether the new recruitment conforms to the regulations regarding the human resource requirement of the company. Describe a typical day in the role or what the person would do on a typical day? Is the position one of other similar position? Think about the best performers. What are the attributes common to the people who succeed in those positions? What is it that they bring to the role makes them superior performers? Think about an average / less-than-average performer. What is it that they lack that makes them average / less-than-average? What is / was that person’s strengths in that role? What is / was that person’s weaknesses? If there were something that would have made that person perform at a higher level, what would it have been? What type of people will the person deal with and on what leave? That is,what interpersonal skills are required? Does the person require any particular educational / professional standard?e.g. tertiary qualification, certified practicing accountant, registered engineer,trade certificate. Having reviewed the position description and the above questions being asked the key selection criteria for the role could be identified. This will be a useful source of information when writing the advertisement as well as determining appropriate questions to ask in an interview. It is useful to separate the essential from the desirable skills, qualifications, experience and competencies in a structured format. Internal Search: There could be a person competent for the required job working within the organization. If there is, the existing manpower is then shuffled to place the selected person in the new post. If there is no such person inside the company, then the management goes for the second step. Consulting the CV Bank: The unsolicited applications stored in the data bank are consulted. If the quality of a person matches with the requirements mentioned in the position description, then he / she is called for interview. If not, then the third step is followed. Employment Agency: An agency finds and prescreens applicants, referring those who seem qualified to the organization for further assessment and final selection. An agency can screen effectively only it has a clear understanding of the position it is trying to fill. Thus it is very important that an employer be as specific and accurate as possible when describing a position and its recruitment to an employment agency. Executive Search: This one is a unique case when people with special expertise are searched (such as work experience in a special field). In this case, candidate(s) already employed in other organization(s) is attracted to switch the organization. This has a relatively low rate of success, because the targeted candidate may not consider the change in job. If unsuccessful in this stage, too, then management decides to go for public advertisement. External Recruiting: All the above options being considered, the company goes for external recruiting if needed. Those who best meet the skills, qualifications, experience and competencies required for the position should fill vacancies. Therefore, if there is no candidate within Shahjalal Islami Bank who is suitable for the role, external advertisement should be placed to attract the potential candidates followed by the selection procedures. The Company gives advertisement in national dailies (both Bangla and English) to attract the talents from the market. Shahjalal Islami Bank puts two types of advertisements in the newspapers. It sometimes keeps the identity concealed in the ads, mentioning a GPO BOX number only. The purpose of the concealed identity is to avoid the unwanted pressure from the stakeholders for the employment of their desired candidates. But this way the company may lose the talents out there in the market who would have applied for the same post had they known the name of the organization. This is why the company kept the identity open in their recent job advertisement when the quality of the candidate was a very important factor to consider. By revealing Shahjalal Islami Bank identify, the company attempts to attract the best potentials among all the others. The responses to the advertisements are sorted and screened. The CVs as well as the Covering letters are judged. In the covering letter, the style and language of writing, the emphasis put on the areas asked for tin the advertisements and the quality of the letter (whether it is specifically tailored to the advertisement or just a standard response) are the aspects that are judged. Different weights are assigned to the selection criteria mentioned in the man specification depending on their relative importance (for example, educational institutions like IBA, NSU, EWS, BRACK, SUB are given the highest weight among the local ones). Based on the presence of these factors to the desired extent (experience, educational degree, computer literacy, etc) the cumulative weights for all the applicants are counted and the short list of a sizable number of the top most candidates is generated. However, the HR officials also study the CVs with the respective line manager to check whether any valuable deciding parameter is missed in that are mentioned in the CVs. Then the candidates selected in the short list are called for the written test. Written test is not a regular part of the normal recruitment process. It is conducted as and when required. Previously no written test was taken for the management employee; the applicants had to go directly through the interview process. After the introduction of the manager trainee program, the written test before the interview process has proved to be effective and a useful tool to select the desirable candidates. The written test includes psychometric test, test on behavioral competency, and written test on communication skills. The candidates are called for the preliminary (first) interview based on their performance in the written test. The interview process is a three-tier one. A preliminary interview is conducted which follows the “elimination method”. After that, the second interview takes place with a very few number of candidates. Then the finally selected person is called for the final interview. The interview time is kept convenient for the candidate especially if she/he is working elsewhere at the time of interview. In that case the chosen time is after the business hour. Functional Capability: The decision-making expertise and job-related skill of the candidate is measured in this category. It is seen that whether she/he has updated her/his competency with changing need of the business world. Customer Orientation: It is seen whether the candidate has the willingness to be proactive towards customer, deliver the best quality, maintaining good relationship with the customers. The deciding factor here is ‘how she/he considers the customers’. Change orientation: The ability of the candidate to adjust with the changing business environment is judged in this part. Performance Orientation: The eagerness of the candidate to deliver the best performance out of him is considered at this level. Strategic Capability: The candidate’s tendency to reflect the vision/mission of the company into practice is measured. Leadership: It is seen whether the candidate possesses the quality of being accepted and getting things done by others. Negotiation and Influencing: The candidate has to have the ability to lead the transactions smoothly and persuade others to get the better edge in the bargain. Teamwork: The interviewers judge how skillful the candidate is in teamwork, in which the interpersonal communication skill of that person is a very important deciding factor. Organizational Commitment: The loyalty of the candidates towards the organization and sincerity to the work is necessary. In addition, the subject specialist gives some additional comments (individually) about the technical and education skills of the candidate. The recommendation paper contains the assessor’s signature, rating, date and comments. In the second interview, the Head of HR and the respective line manager will be present in the board, who again test the interviewee’s knowledge, skills, experience, competencies, attitude and aptitude and also about their employer organization, the range of salary they expect, the possible day of joining provided s/he is selected etc. This interview is a comprehensive one. The observation of the interviewer is the deciding factor for the selection. The selected candidate (s) from the second interview has to go through the final interview that facilitates the employment decision. Here the candidate is informed about the facts regarding the responsibilities of the job, location of posting, challenges she/he has to face. In addition, her/his personal problems related to the family, locations etc. are consulted in this interview. This is a notable fact that the selected person by the second board is not selected finally. In the third interview, the emphasis is mostly given on the choice and preference of the selected person. If these do not match with requirement of the organization, s/he has the liberty to reject the job offer. Reference checks allow obtaining information and opinions regarding the person’s character, quality of the work and suitability for the position. It is an opportunity to validate the information received from the candidate via their resume and the interview. Speaking to the candidate’s manager or other people whom they have worked with should also check internal candidates. The opinion of a referee who has worked can for an extended period is likely to be more accurate than the assessment from one to two hours of interviewing. The candidate’s immediate supervisors are needed to be contacted. Permission should be obtained to contact the candidate’s referee especially if their current employer is contacted. It is not unusual for a candidate to be uncomfortable with the organization’s speaking to a current employer. If they are uncomfortable, an alternative person other than the current employer has to be chosen by the candidate (for example, work colleague). Unless the candidate is a graduate or school leaver with no prior work experience, only contact work related referees should be contacted. At least two reference cheeks should be done, however the more the better. There is a sample reference-checking guide that is more or less followed. It is important to prepare a reference check guide that asks the referee about the key skills, competencies and experience required for the position. Reference checks need to be done by line manager or personnel of the HR department. During the interviews, the candidates would have given some examples of incidents, tasks or projects that can be asked about. The referee should be asked what the candidate did in those examples, which ascertain whether the information received from the candidate is consistent with that of the referee. Subjective questions may not always be a reliable guide; however it can be useful to get the referee’s opinion on areas such as quality and quantity of work, strengths and weaknesses etc. If the candidate has no problem with the stated terms and conditions of the job and the organization mentioned and discussed in the final interview, she/he is offered an application blank. The application blank is a standard format of employee-information that includes all the information the organization needs regarding the personnel. The candidate has to fill this blank and submit this to the company along with a CV. After submission of the application and the CV, the selected person has to go through full medical check-up that guarantees her/his physical fitness to perform the job successfully. A medical practitioner who uses a physical capability analysis that assesses the candidate against the physical capabilities documented for each role conducts the medical. A medical is also appropriate for internal candidates if they are applying for positions that require different physical capabilities. Once the health check-up is done, the candidate is given an offer letter specifying the salary package, job responsibilities, utilities that will be provided by the organization. Even at this stage the selected candidate has the chance to withdraw her/himself from the job offer. She/he is always free to discuss whatever difficulty may arise regarding pay-structure/facilities etc. The door of HR is kept open for any sort of relevant discussion. A written letter of offer must be forwarded to the candidate. Once the candidate has verbally accepted the position, the appropriate letter of offer is organized. This letter should be sent to the candidate within two days of making the verbal offer. An introductory package will be sent to the successful candidate, along with the letter of offer. At least one week before the person commencing in their new position, an appointment notice will be placed on notice boards or the internet. The newly selected employee has to pass through the induction period that is usually of 10 days to 2 weeks. After that she/he has to write a report on her/his learning experience during this period. Induction does not only apply to new people. An induction program should also be planned for internally transferred people, as they need to be inducted into their new roles. Once the candidate has accepted the offer, the new person’s induction should be prepared. There is an Induction Plan template (“pre-induction”, “Induction day” and “Post-Induction” checklist) in the Appendix-2 as guides to structure the person’s induction. The tools are not prescriptive, but prompt on activities which could occur in the person’s first 1-2 months. The tasks listed under “one week prior to commencement” of the manager’s induction checklist have to be completed. This also includes completing the Induction Plan template. On the first day meet and greet the new person. Go through the remainder of the Manager’s Induction Checklist, which includes outlining the activities that will be occurring over the first one to two months. The person then participates in activities, which they have pre-arranged. Completed checklists are placed on the person’s Performance Management file. After the candidate is given proper orientation and induction, they are placed in the concerned department under the supervision of the line manager. The HR department continuously interacts with the new entrants regarding his job satisfaction/work environment and problems. In this stage the management tries to help the employee to get settled her/his problems in the job, work environment and workplace-culture. The MT program is a new scheme in Shahajalal Islami Bank; followed at par with the global practice. This practice does not fall into the OMR procedure. The MTs are trained as future potential senior managers of the Company. The MTs are always recruited externally. The recruitment tool so far followed by Shahjalal Islami Bank is advertisement. Advertisements in important national dailies are given seeking applications for the position of Manager Trainee (MT). The ads are placed both in Bangla and English newspapers. The selection of the MT includes the steps almost similar to those of the entry-level managers. Weights are put on all the applications as per previously set criteria and standard following the guidelines of Shahjalal Islami Bank (Education background, Experience, Computer Literacy, Organization of previous employment). A shortlist is prepared after analyzing the applications based on the set criteria for the Aptitude test, screening the top applicants. A number of candidates among those in the top are then selected to go through the assessment center. To set up Assessment Center, the assessors are from the outside sources with sufficient experience to run Assessment Center. The assessors from within the organization are trained by the organization to lead the assessment center effectively. The selected candidates from the Assessment Center are called for the final interview that is rather a discussion regarding the job and requirements between the employer and the employee. Then the final employment decision is made and the candidate is offered the application blank. A pre-employment medical check-up is inducted to ensure the physical fitness of the candidate. Finally, the selected candidate is given an offer letter specifying the salary-package, job responsibilities, utilities that will be provided by the organization. Even at this stage the selected candidate has the chance to withdraw her/himself form the job offer. She/he is always free to discuss whatever difficulty may arise regarding pay-structure /facilities etc. The door of HR is kept open for any sort of relevant discussion. The blocks must have a development benefit for the MT and must not be submitted to fill ongoing resource requirement within the business function. Along with the respective line managers, each MT will be guided, advised, inspired and coached by a mentor who is one form the senior management cadre. The mentor will keep constant liaison with the MT to keep track of the progress. The MT scheme is paid for and administered by the HR function. Salaries and movement logistics and expenses are cost to HR centrally. The MT’s training team is responsible for the overall direction, management and success of the scheme. For the development of each MT, a senior executive the Bank is made available to provide general advice and career counseling based on a thorough knowledge and unbiased view of the organization. The Mentor of each MT acts as an experienced and trusted advisor, an overseer of development who guides and advises the MT in their professional development and understanding the Bank culture. The mentor has to be available for the manager trainee by scheduling regular sessions to assist transition from other environment into the Bank environment. They educate the MTs about the informal organizational channels; facilitate key contacts within business as a source of information and knowledge about the Bank. They are to facilitate the MT’s block selection, promote the individual’s strengths, counsel, advice and coach by presenting themselves as role models. Normally they go through the company’s standard orientation / induction program to two week’s duration covering visiting all important business function and locations. After completion of this standard orientation program of the company, the MTs are expected to submit a report giving feedback of their experience and highlighting the learning elements. Again, all MTs moving into a new area need the standard induction into the specifics of the business units, the people and the physical environment. Communicating into the rest of the team, about the MTs role and team members’ relationship with the MTs is important to avoid resentments and smooth way for a successful transition into the new department / function. Ant vacancy at this level in any of the regional companies of the Bank is made known to the other entire Bank. If any person feels him / himself fit for that post, she/he may apply for that. Selection tests /interview are arranged if she/he is though to have the potential to meet the requirements. The mid level managers are recruited through head hunting, with reference of the head hunting agencies. The acquaintances of the Bank also act as the referee for some potential candidates. Recruitment and selection process at this level is much informal. The persons with the experience in other multinational companies are preferred. The reputation of the candidate in her/his field is also checked. She/he must be familiar with the ongoing corporate culture. For the selection of the candidate, she/he will be assessed through informal supper where she/he will be assessed through informal chart (semi-structured interview), though both the parties will be aware of the probable job offer. The CV of the person to be recruited is assessed. Questions regarding the working condition in the current company she/he is working in may be asked. The HR director, members of the Executive Management Committee and the concerning line manager of the company are usually present in the conversation. However, if the candidate is found suitable for the vacant post, she/he is offered the job. The expectations form both the candidate and the company are discussed and both the parties attempt to come to an agreement regarding the job offer. This could be a repetitive selection process for different likely candidates, unless the right person is found. Preference is given first to employees working for the company, while recruiting non-management staff. Promotion form within is usually preferred. External recruitment would therefore be made only for positions where it is deemed necessary due to the nature of the job, and the prevalent practices and in conformity with the company requirements. The children of the existing and /or ex-employees of the company are given priority in recruiting graded staff, provided they meet the requirements for the vacant post. The contracts of the contractual workers are often renewed. The existing contractual labors are sometimes called to meet the vacancy within the organization if they have gained considerable experience and competence. The recruitment notice is advertised on notice boards at all company locations as per attached format to provide an opportunity to the vacant positions if their qualifications conform to the set recruitment standards. If no suitable candidates are available form amongst the employees and their children, the recruitment will be advertised in newspapers. The graded staffs are selected based on the minimum educational requirement and through a standard written test that assesses their general knowledge, IQ and some basic educational understanding. After passing the written test, the applicants are selected through viva test. The selection interview is followed by the preliminary recruitment interview to list the potential candidates. The finally selected person goes through the pre-employment medical check-up and other essential formal procedures before she/he is given the offer letter. Training is a learning process that involves the acquisition of skills, concepts, rules, and attitudes to increases the performances of the employees in the organizations. On the other hand development is more future oriented, and more concerned with education, than is employees training or assisting a person to become a better performer. Shahjalal Islami Bank gives emphasis both for internal and external training. Any new operations or service is marketed, they gives training to the employees attached to the operations. Development helps the individuals handle future responsibilities, with little concern for current job duties. Free schooling for the employees’ children etc. This Bank also follows the observational method for job analysis. In this process they observe the individual or individuals performing the job and pertinent notes describing the jobs or describing the work. This information includes such things as what was done, how it was done , how long it do, what the job environment was like, and what equipment was used. In this process information about jobs is systematically collected, evaluated, and organized. This action are usually done by human resource specialized about each job and every person in the organization. Performance appraisal information can provided needed input for determining both individual and organizational training and development needs. Another important use of performance appraisal is to encourage performance improvement. In this regard Performance appraisals are used as means of communicating to employees how they are doing and suggesting needed changes in behavior, attitude, skill or knowledge. For apprising the performance Orion Infusion Limited (OIL) consider the different criteria of the employee, such as attendance, attitude, cooperation, initiative, dependability, quality of work, overall output, honesty, personality, ready to take challenge etc. Without this, based on the performance of each individual, there exists three groups of employees who are listed and the list is maintained secretly by HR Department. Key Personnel: Who are the most required personnel for the business operation? Watch List: Who are doing well and have the ability to take further responsibility? High Valued Employee: Who are doing very well at his present job but not capable to take higher responsibility? Among the key personnel and watch list personnel there are a successors list, which describes the replacement of each key personnel if they leave the job. The successors are developed in such a way that they are able to take the responsibilities easily. The list of successors is changed due to their yearly performance factors. The movement of personnel within an organization- their promotion, transfer, demotion, and separation is a major aspect of human resource management. The actual decision about whom to promote, and who to fire can also be among the mot difficult, and important, a manager has to make. For every organization promotion is extremely important, when the process based on merits and skills of the employee. Through the process, potential successors are identified and developed to meet the requirements of the future vacancy. The candidate is groomed to fill the probable vacancy that may arise in the future. All the public relations required for the business operation of the company (with government; Non-government; public body) are maintained by HRM Department. All the issues related to the trademarks, HRM Department maintains patent rules and registrations. HRM Department also performs the internal communication activities among the employees. Actually HR recruits a person in company, helps him to be familiar with the work & culture of the company and then lodge him to different departments. HR does not admin the directly, line supervisor will do that, but follows up the whole system and give the employee necessary support. HR also performs the increment & other related procedures based on the appraisal system. Through the innovation of the new concept the department takes some new projects to make the business operation most smooth and cost effective and modern. Once the job evaluation is complete, the data generated become the nuclease for the development of the organization’s pay structure. This means pay rates or range will be established that are compactable with the ranges, classifications, or point arrived at through job evaluation. Pay Scale: Generally Pay scale means salary, benefits and compensation Information Company. It was developed to help people obtain accurate real-time information on job market compensation. Health, Safety and Medical Facilities: Doctors are arranged to visit each location of numbers of times a week to provide necessary medical support to the employees. Moreover, the non-management staffs enjoy medical treatment at Holy Family Hospital at company arrangement. Health Insurance Policy: Management staffs enjoy health insurance for self, spouse and two children up to 21 years for hospitalization only. ALICO Insurance provides the insurance and the company pays the premium. Benefits and Rewards Package: Benefits and rewards packages are different for management and graded staffs. Benefits and Rewards for Management Staffs: All management staffs get 6 bonuses in a year (6 basic), 5% PF (Provident Fund) whose basic salary is less than Tk. 9,000, an annual bonus (pro-rata basis), Leave Fare Assistance (the amount depends upon the job grade of the employee). Each year the salary increases on an average 10%- 12% of the total salary depending upon money inflammations and job market. An interest free loan facility is also there for different grades like car loan, home loan, household loans etc. In each three years after all most all management staffs are upgraded. Management staffs also get provident fund, gratuity and pension. Some other insurance policy is also here. Benefits and Rewards for Graded Staffs: All graded staffs get 4 bonuses in a year (4 basic), 5% WPPF (Worker Profit Participation Fund) whose basic salary is less than Tk. 6,000, an annual bonus (pro – rata basis), Leave Fare assistance (2 basic) . After two years the salary increases on an average 20% -24% of the total salary depending upon money inflammations and job market and agreement between CBA and management. They also get increments, double increments etc. Graded staffs also get provident fund and gratuity. HR practice in Bangladesh is better than the past. In the past, HR role was concentrated to hiring firing and letter issuance-dispatching-filing stage. Now it has started to perform more than that. Such as – Employee motivation, Employee development, employee retention, facilitating organizational development initiatives etc. and thus contributes to the achievement of organizational goals. These value added job has just begun in Bangladesh. For a good tomorrow, this is a starting point. Employer-Employee relationships are better than the past. Employers now recognize the importance of employees’ participation in business planning, major decision making and organizational change process. Many organizations now conduct employee opinion surveys for collecting employee feedback and improve employer-employee relationships. In future the overall HR practice is expected to be brighter in Bangladesh because more are feeling the necessity of an established HR department in the organizational structure employer-employee relationship is expected to improve. It will be part of HR practices which will make HR actions, decision making process faster and accurate. Shahjalal Islami Bank beliefs their Human Resource Department are the most valuable department than the others competitive and dynamic environment at present. They consider their skilled people as assets for their organization. Shahjalal Islami Bank committed to draw the most talented and dynamic professionals from the available candidates. Shahjalal Islami Bank follows both the internal and external sources of recruitment. Training and development programs of Shahjalal Islami Bank include orientations, and socializations activities to inform employees about policies and procedures. Shahjalal Islami Bank try to develop their employee with future advancement and educate them in jobs kills. 7. For job analysis Shahjalal Islami Bank consider several common uses such as – job definition, job re-design, orientation, socialization, carrier counseling, employee safety, performance appraisal and compensation. Shahjalal Islami Bank designs their job in such way, which is the right person at the right place at the right time to achieve their objectives and goals. Their Human Resource Mangement Department (HRM) trusts in team work and respect each other. Shahjalal Islami Bank beliefs their human resource department are the most valuable department than the others. But still, The Company should be prepared the standard human resource planning because the success and failure of organizations is highly dependent on the proper human resource planning. The process practiced in the organization is a very effective tool to fill probable vacancy. The in – house circulars within the group also act as a useful device to find the right person of the right job. The manager training program of the company is a good way to groom to be manager for the probable vacancy in the future. The organization should regularly follow this procedure to build a productive and valuable workforce. The selection tools and procedures used in this program have also provided to be very effective. To cope with the ever-changing, competitive corporate world, the organization should welcome new ideas as well as fresh starters to trigger innovative ways to nature overall workforce competence. The assessment center approach is designed to identify the essential expertise of the candidates that enable to locate and select the right person for a managerial. This method is formally followed only in the manager trainee selection system. But this should also be followed in selecting the entry-level managers too. The HR Department should look into the matter of consuming more time in the process of calling the applicants after their responses very seriously. The organization could control the size of applicants’ pool by using more clear and specific statements in the ad in terms of the minimum educational degree, preferred institutions and other necessary criteria based on which the initial screening of the applications were conducted. Shahjalal Islami Bank could participate in the job fairs for their recruitment. A considerable volume of applications is dropped in the organizations as a result of the exposure created in the job fairs. The organization can promote its image as a potential recruiter through its successful participation in the job fairs. The company can also for campus recruiting that could bring a yield of highly educated fresh-starters for the entry-level the organization. They can arrange seminars in the top business schools country. Also the company should facilitate online CV-posting system that is a very popular and effective practice used by the top business organizations. The company should follow both on-the-job and off-the –job method training when they are training their employees. The HRD manager of the company should be analyzed the organizational jobs properly because job analysis serves as the cornerstone of all human resource functions in an organization. Side by side the HRD manager should evaluate the different positions of employees in the organization in order to establish the well conceived for pay-structure. Before appraising the performance of employees in the organization properly, the HRD manager should be established the standard. Here it is noticeable that the HRD manager should appraise the performance of all employees in the organization without showing any discrimination. The HRD manager should prepare the standard promotion policy for the employees of the organization. Here it is very much important that the employees should get the promotion based on the performance not the nepotism, political influence and whatsoever. The HRD manager should established the standard pay structure for the employees of the organization in order to reduce the high turnover of employees. In this report the Overall work of the human resource department will be focused and described. After analyzing the report, we can say, In present competitive and dynamic environment, human resource are now being viewed as the most valuable mean for gaining advantages over other. Competitive advantages can only be achieved by building up highly motivated and skilled employees. To fulfill the vision, mission, and core objectives of a company the management has needed to established an effective and efficient human resource department and hired the confident and most promising professionals. Shaw, Schoenfeldt, Fisher; “Human Resource Management”, Biztantra Publications, India, 15th Edittion, p.p. 01 – 44. Porter, Simmonds, Bingham; “Exploring Human Resource Management”, Mc Graw Hill Book Company, Boston, USA-1981, p.p. 01 – 39. Aurther, William, and Davis, Keith, “Human Resource Management”, (9th edition), McGraw-Hill Book Company, New York, 2005. p.p. 35-60. “Annual Report,” Shahjalal Islami Bank, Financial year 2008-2009, p.p. All. Human Resource Management Practices in Bangladesh: http// www. hrmpb.com/ Retrieved date March 23, 2010. Human Resource Management Practices in the 21st Century: http// www. hrmp21.com/ Retrieved date May10, 20010. Stoner James A.F. and Freeman R. Edward and Jr. Daniel Gilbert., “Management,” Prentice-Hall of India Private Limited (2003), Sixth Edition, p.p. 374 – 402. Werther William B. and Davis Keith., “Human Resource and Personal Management,” Mc Graw Hill Book Company, Boston, USA-1981, p.p. 181- 241.